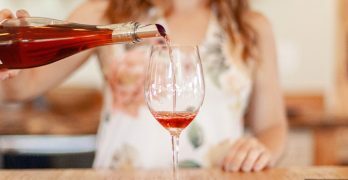 No Fooling: It’s a TWO Bottle Post! 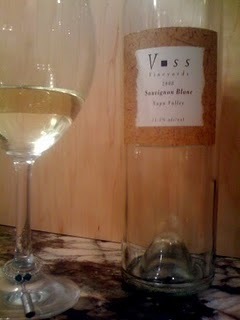 And, in case I loose you, I’ll start with the one I liked the best: Voss Vineyards 08 Sauvignon Blanc Napa Valley 11.5% alcohol Color: Clear, pale gold, with a viscosity that coated the glass. Aroma: Honeydew, lemon, freshly mowed grass and pale honey. Very welcoming. 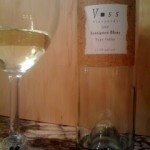 Taste: Akin to a crisp New Zealand Sauvignon Blanc. 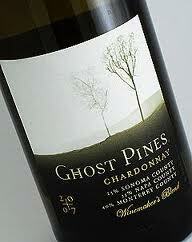 With tangy notes as well as kiwi and melon fruit, a slight effervescence and high acidity. Finish: Medium to long length. 91 Eve Points. Purchased at Bev Mo for less than $20, not a part of the nickel sale. 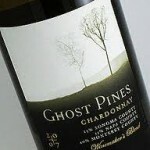 Ghost Pines 07 Chardonnay 25% Sonoma County, 35% Napa County and 40% Monterey Color: Gold diamonds. Aroma: Light green apple, asparagus, wood. Taste: Low to medium acid mouthfeel, lemon, grapefruit and green apple. Finish: Short length, maybe got to a count of three and it was gone. 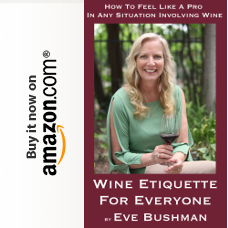 Food Pairing: I wasn’t impressed with the wine UNTIL I paired it, as my husband Eddie suggested, with the rich Spaghetti alla Carbonara. (Chef David Lawrence’s recipe was highlighted on 3/30/11.) As Eddie predicted, the wine truly cut the oils and salt in the pasta, as well as changing the way both were perceived alone. 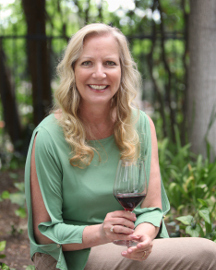 I know I don’t rate my food pairings often enough in this blog so this was a good lesson for me, and other wine 101ers, to take the time. 86 Eve Points without food, 88.5ish with. Purchased at Bev Mo, in the nickel sale, so I got two for less than $20.